CHARLESTON -- The Dylann Roof federal trial has been very emotional for the families and others inside the courtroom as they had to relive the tragic night that changed their lives forever, CBS affiliate WCSC reports. And although nothing could bring their loved ones back, a sense of relief was felt after the jury announced the verdict: GUILTY. As the 33 guilty verdicts were read in court Thursday, family members nodded, shook their heads, grabbed tissues and quietly cried. They say the overwhelming emotions were a relief, and a sense of justice. The federal trial against Roof started and ended with a look at smiling pictures of the nine people he killed in the Mother Emanuel AME church while they were studying the bible. Felicia Sanders was one of three people who survived the shooting. She tearfully told the jury about hiding underneath a table in the fellowship hall, clutching her granddaughter, who also survived. Her Aunt Susie Jackson and son Tywanza Sanders both died next to them. Sanders says Roof never looked at her during the trial. North Carolina Sen. Malcom Graham posted a picture of his sister, Cynthia Hurd, on Twitter after the verdicts. He said, “Justice has been served,” and commended the jury. Malloy is Rev. Clementa Pickney’s family attorney and said they plan to be back for sentencing in January. 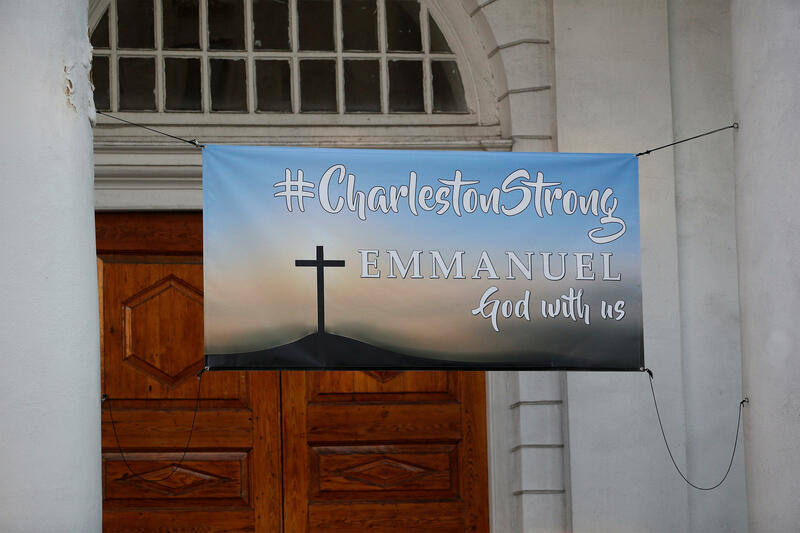 “I would think you would have the support for this family is going to continue not only from the people here in Charleston, but the whole state, the country, all over the world,” Malloy said. Sharon Risher was in court every day. She lost her mother, Ethel Lance, and two cousins in the shooting. Rev Sharonda Coleman Singleton was a track coach at Goose Creek high and a mother of three. Rev DePayne Middleton Doctor was a mother of four girls who was known for her community involvement. Prosecutors said Rev. Daniel Simmons Sr. acted like a hero that night. “It’s only by the grace and goodness of God, and just feeding our souls with his word to keep our spirits alive, it’s only by god’s grace and mercy,” Daniel Simmons Jr. said. Myra Thompson received her license to ministry hours before the shooting. Her daughter wanted to wait until after Roof’s sentencing to comment. “Him saying he didn’t have friends? He had nine friends. He had twelve friends in that room. Only he had to reach out. We would have reached back to him,” Felicia Sanders said. Even people who didn’t know the victims or their families came by the federal courthouse, talking to reporters. They said they too are relieved for Charleston.